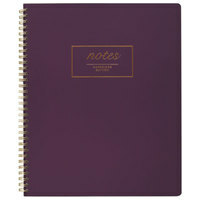 Give your notes a regal look with purple notebooks. Our selection of elegant purple notebooks includes many size and style options, so you can find the best product for your business or school. Plus, these high-quality notebooks are available at affordable price points, so you can stock your supply closet without breaking your budget. Also make sure to check out other great items from Blueline and Cambridge. 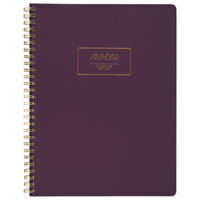 If you want to bring an elegant color to your notetaking routine, try purple notebooks. These products come in various shades of purple, and you can also find an assortment of styles for different needs. Best of all, some of these notebooks have perforated pages to make exchanging messages easy. For related products, check out our business card paper, blank labels, and envelopes. 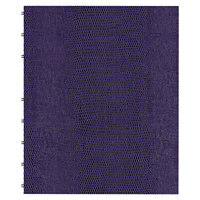 If you're wondering where to buy purple notebooks, we have a large selection of purple notebooks for sale at the lowest prices.